One of the more complex types of Boston personal injury litigation is medical malpractice. It occurs any time we go to the doctor as a serious illness could be misdiagnosed leading to serious personal injury or even death. However, many medical malpractice cases result from incidents that occur in a hospital setting. What people may not realize is that when we seek treatment at a hospital, we are in fact trusting our care to many different people – some of whom we may never see – and that there is ample opportunity for circumstances to go horribly wrong. Health care providers frequently found liable for medical malpractice are those who assist women in childbirth. In fact, one Medscape survey in 2015 noted that 85 percent of OB/GYN physicians will be sued for medical malpractice at some point in their careers. These mistakes can occur during pregnancy, or at some point during labor or in the course of delivery. The impact of a medical mistake on the mother and child can be devastating and lifelong. However, the amount of time you have to file a claim is not infinite. The statute of limitations limits the amount of time you have to assert a claim. When you go to the hospital after going into labor, you are transferred to a birthing suite and assigned a nurse and various nursing assistants. These medical professionals monitor your vital signs, start IVs and administer medication pursuant to orders from an obstetrician. You are relying on every one of these individuals to do their jobs according to the applicable standard of care. If something goes wrong, or the doctor otherwise decides you need to have a cesarean section (C-section), you will be taken into an operating room on the labor and delivery ward. Prior to having surgery, an anesthesiologist will insert a spinal block of some kind. He or she may or may not use a fluoroscope. There will be various people in the emergency room, including one who will be responsible for counting every tool, sponge, and piece of gauze used to make sure one is not left in the patient. As our Boston medical malpractice attorneys can explain, if an instrument of any other material from the hospital is left inside a patient, this is known as a foreign objects medical malpractice case. Pursuant to Section 4 of Chapter 260 of the Massachusetts General Laws (MGL), the statute of limitations is three years in most cases. This means that a civil personal injury medical malpractice lawsuit must be filed within three years from the date the cause of action accrued. This means the day when the medical procedure was performed. However, in some cases, it is not possible for a patient to know that the injury has occurred until sometime after the date the medical procedure was performed. In these cases, there can be a case filed in no more than seven years from date the injury occurred. However, there is one additional statute of limitations for medical malpractice cases – this involves the foreign objects medical malpractice case. 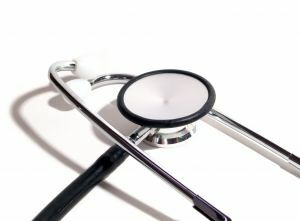 There has been a lot of change in this area of medical malpractice law in Massachusetts over the past several decades. One of the initial landmark legal decisions (that has since be overturned, but for reasons the exception to the statute of limitations created was too narrow), is Pasquale v. Chandler (1966). In this case, a patient went to his doctor in the 1950s complaining of stomach pain and weight loss. He was told that he would need to have surgery and a radical removal of most of the stomach was performed. During this procedure, his surgeon used more than 50 Kelly clamps. A Kelly clamp looks like a pair of scissors and is very similar to a hemostat. The Kelly clamp has interlocking teeth at curved tip a ratchet locking mechanism to clamp it shut on tissue or large blood vessels. In this case, the surgery was performed and the clip was left inside the patient. He complained about heart burn years later and they couldn’t figure out what was wrong until they took an x-ray. This was before the days of MRIs and computer assisted imaging so all they could see was a foreign object. When they performed surgery to remove it, they found a rusted Kelly clamp that had become lodged in his intestines. He did slightly better immediately following the surgery but died soon after. The Supreme Judicial Court (SJC), which is our state supreme court, decided that there could be an exception to the then three-year statute of limitations on medical malpractice cases, but only in foreign objects cases. This case was later overturned in a case entitled Franklin v. Albert (1980). In this case, the court decided that the earlier court (still the SJC) had been too focused on the legislative history of the statute and less on due process clause the reasonableness of the conclusion. The court determined that the plaintiff should have a reasonable time to discover that he or she was injured. This however, was further changed when the legislature added the exception that there is no time limit for cases involving foreign objects. One other thing that makes medical malpractice cases somewhat different than other personal injury cases, as we have discussed in our Resources for Injured Patients section entitled “Do I Have a Medical Malpractice Case?” is the use of medical malpractice tribunals. As we discussed in that resource page, Massachusetts G.L. c. 231 Section 60B, establishes the requirement for a tribunal for malpractice cases against healthcare providers. We use the term medical malpractice, and many people think of doctors, but we can also be talking about various other healthcare providers. Prior to filing a case in the Suffolk Superior Court, which is the court of general jurisdiction for civil personal injury claims in Boston, the case must go before a medical malpractice tribunal. This panel is meant to serve as a gatekeeper to keep frivolous claims out of court in an attempt to reduce medical malpractice premiums for medical providers. The panel is to consist of one judge from the superior court, a doctor licensed to practice medicine in Massachusetts, as well as an attorney licensed to practice law in the Commonwealth. At this hearing, the plaintiff, through his or her attorney, is required to present a proffer also known as an order of proof to determine if the evidence is viewed in the light most favorable to the plaintiff, would be enough to raise a legitimate question of liability. While this is generally not considered a very high standard, it is essential to ask your attorney if he or she has had experience going before these medical malpractice tribunals in Boston and had successful results in the past. One thing to keep in mind is that if you do not make it past a medical malpractice tribunal, you do not have a valid medical malpractice claim. On the other hand, just because you are successful at a tribunal does not mean you will win your case. You still want an experienced medical malpractice attorney in Boston fighting for your right to a full and appropriate financial recovery.